(HealthDay News) -- The number of American seniors who die from fall-related injuries has nearly doubled since 2000, a new report from the U.S. Centers for Disease Control and Prevention reveals. The observation is based on an analysis of death rate information compiled by the National Vital Statistics System between 2000 and 2013. The report specifically noted that while roughly 30 seniors in every 100,000 died following a fall in 2000, that figure jumped to nearly 57 per 100,000 by 2013. Investigators also implicated falling as the cause of death in more than half (55 percent) of the roughly 90,000 unintentional injury fatalities involving seniors in 2012 and 2013. Reacting to the findings, Dr. Lauren Gleason, a geriatrics medicine fellow at Beth Israel Deaconess Medical Center in Boston, said that it's important to recognize that deaths resulting from a fall "are not usually just about the fall." "Senior falls are a signal event," she said. "And they're often part of a larger geriatric syndrome, which means the fall itself may represent other things that have long been going on. So the fall event can certainly lead to a decline in functional ability and even death. But that can also result from medical problems that cause the fall in the first place." The findings were published May 6 in the CDC's NCHS Data Brief. Gleason (who was not part of the CDC report team) said that there are multiple factors that might contribute to a person's risk for falling, such as balance issues, poor nutrition, poorly controlled diabetes resulting in foot numbness, or poor coordination. Impaired thinking, she added, could also render familiar environments unfamiliar, raising the risk for tripping. About one-third of Americans over 65 fall every year, according to the CDC. Emergency departments treat about 2.5 million fall-related injuries (or about one every 13 seconds) every year. Apart from its focus on falling risk, the CDC report also found that car accidents are now responsible for 6,000 senior deaths per year. That's 14 percent of all unintentional injury deaths among those 65 and up. Car accidents are followed by death by suffocation (8 percent), accidental poisoning (4 percent), and death by fire (2 percent). While many unintentional causes of death experienced a bit of an overall decline since 2000, the risk of dying from many of these factors tends to go up as seniors get older. For example, seniors 85 and up appear eight times more likely to die from suffocation than those between 65 and 74. Octogenarians were also twice as likely to die in a fire as those aged 65 to 74. Similarly, seniors 85 and up were almost twice as likely to die in a car crash than those aged 65 to 74, the findings showed. 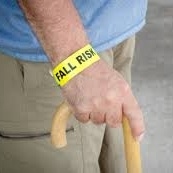 The risk of fall-related death also rose with age, according to the report. While the fall-related death rate among seniors aged 65 to 74 was pegged at 14 per 100,000 people, that figure was found to be 16 times higher among seniors 85 and up (226 per 100,000). Fall-related death rates also differed by race. The rate among white seniors was 61 per 100,000, compared with 36 per 100,000 among Hispanics and 23 per 100,000 among blacks, the study found. Deaths resulting from accidental injuries now make up 85 percent of all injury-related deaths among American seniors, according to the CDC researchers. In the report, one in 10 unintentional injury deaths were due to a cause that was deemed "unspecified." Death resulting from suicide is by far the most common intentional injury among today's seniors (13 percent), followed by homicide (2 percent), the study found. On a positive note, Nancy Gell, an assistant professor in the department of rehabilitation and movement science at the University of Vermont in Burlington, stressed that "while falls may be the leading cause of death by unintentional injury, that does not mean that most falls result in death." And, Gell said, "an important takeaway from this study is the concerted need for fall-prevention efforts. [This] may include an individual fall-risk assessment, home environment assessment, and participation in fall-prevention exercise, such as balance and strengthening exercise." There's more on seniors and fall prevention at the American Academy of Orthopaedic Surgeons.